Plot Description: Film-Am Edgar falls in love with Vilma. The two had a set back that ended with Edgar returning all Vilma’s love letters that he regreted and wanted it back. He went to Vilma’s house to retrieve it but was caught and accused of stealing. The whole misunderstanding ended up in court but was settled eventually. Edgar left the country but returned for Alona Alegre’s wedding to Victor Wood. He also reunited Vilma. 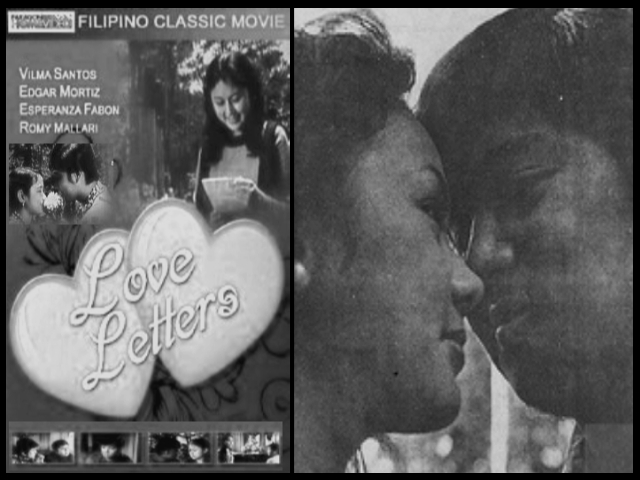 This entry was posted in Filmography and tagged Alona Alegre, Baby Alcaraz, Baby De Jesus, Bobby Roldan, Cloyd Robinson, Danny Subido, Dell Martin, Edgar Mortiz, Ernie Vega, Esperanza Fabon, Felipe Baron, Filmography: Love Letters (1970), FILMS, Imelda Alonzo, Love Letters (1970), Norma Blancaflor, Romy Mallari, Victor Wood, Wilma Landicho. Bookmark the permalink.